Learn to write your research paper using the APA format. In 1929, the APA format was developed as a way to make the communication of scientific ideas more comprehensive and consistent. Since then, the APA (American Psychological Association) style has become a common method of citing sources in psychology, education, and the social sciences. When presenting scholarly written materials, social and behavioral scientists use the APA format. This writing style provides its writers with the necessary guidelines to present scientific research in a clear, concise manner. As a result, complex scientific ideas can be understood by its audience. Double-space the text of your paper. Font style should be Times New Roman. Essay should include: Title Page, Abstract, Main Body, and References. Title page should include: Title of the paper, authors name, & institutional affiliation. Center the title in the upper half of the page. Titles do not contain abbreviations. All text on the title page should be double-spaced. Author’s name: first name, middle initial(s), and last name. Institutional affiliation below the author’s name. 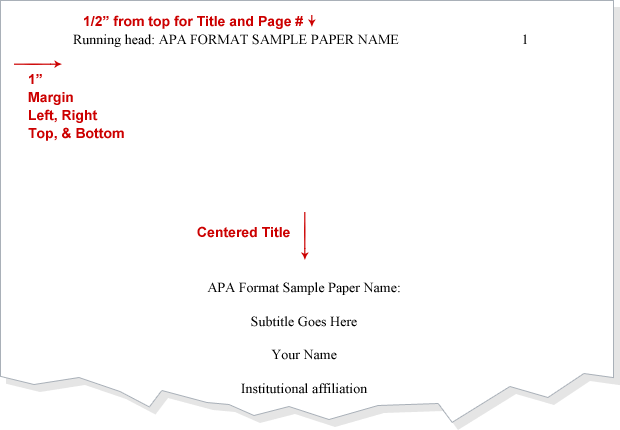 APA Format example of aTitle Page. The abstract is a brief summary of the main points and purpose of the paper. It is typically 150-250 words in length and includes the abbreviations and acronyms that are used throughout the paper. The abstract must be titled “Abstract.” Unlike all of the other paragraphs in an APA format paper, the abstract is not indented. 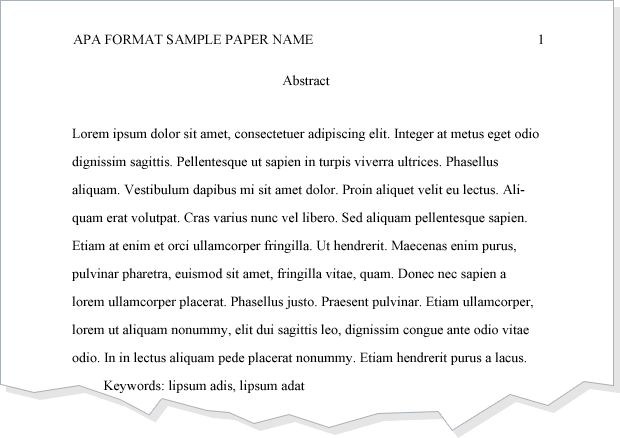 APA Format example of an Abstract page. Reference entries must be in alphabetical order. All references included in the paper must be included in the reference list. The 2nd and subsequent lines of each works cited entry must be indented one-half inch from the left margin. 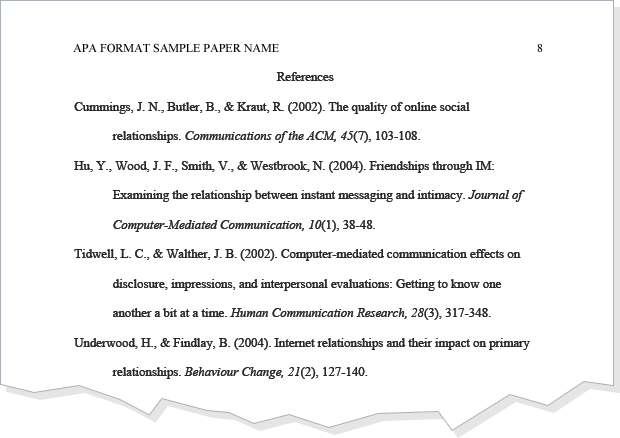 APA Format example of an References page. Title on title page located on top half of page instead of center of page. Abstract should be within 120-250 words. Abstract title should not be bold. Reference title should not be bold. Section headings within paper should be bold. Font style must be Times New Roman. Font size must be 12 pt. No date required in reference list for electronic source. Provide the location of publication for each published reference. In October 2009, a second printing of the APA style manual was released. This printing contains numerous corrections for errors that were found in the first printing of the 6th edition. For this reason, it is important to ensure that the second printing of the 6th edition is referred to when following the APA guidelines.